In the last ten years, Entenmann's has become known as a company that makes delicious baked fat-free products that do not taste fat-free. Today the company boasts around 50 products that carry the low-fat and fat-free labels. One of those products is the delicious pound cake, called Golden Loaf, cloned with this recipe. It makes an excellent dessert or snack when sliced with strawberries and low-fat whipped topping, or beneath a big scoop of light ice cream. 2. Mix together all the ingredients in a large bowl with an electric mixer on medium speed. 3. Spray two 9x5-inch loaf pans with nonstick spray. Pour half of the batter into each pan and bake for 25 minutes. Using a knife, slice down the middle of each cake (about 1/2-inch into the cake). This will give the cakes the same look on top as the original. Bake for an additional 20 to 25 minutes, or until the cakes are golden brown on top. Cut each cake into 13 slices. 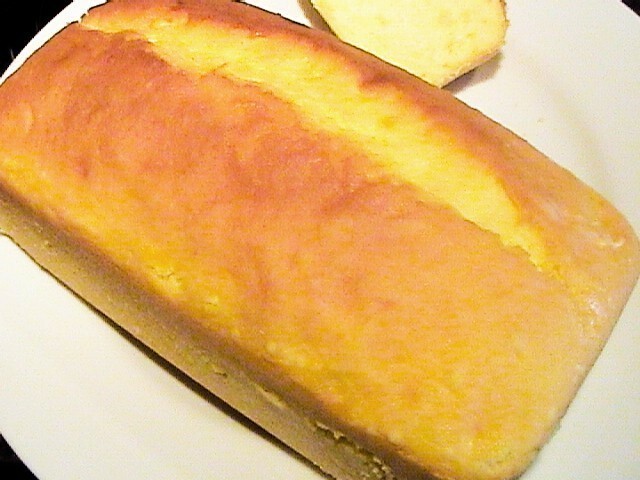 Makes 2 pound cakes, 13 slices each.